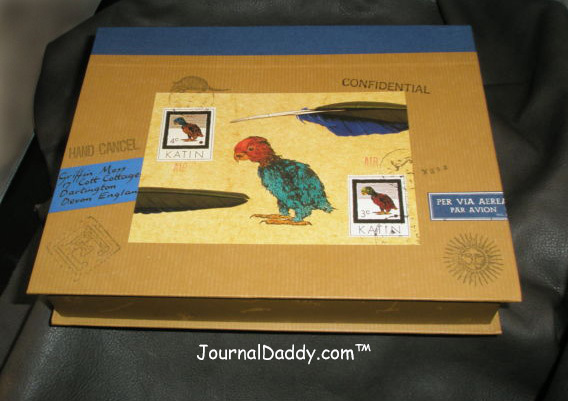 This charming writing box offers lovely letter-writing materials for freely communicating one’s thoughts, inspirations, and passions to friends and lovers. 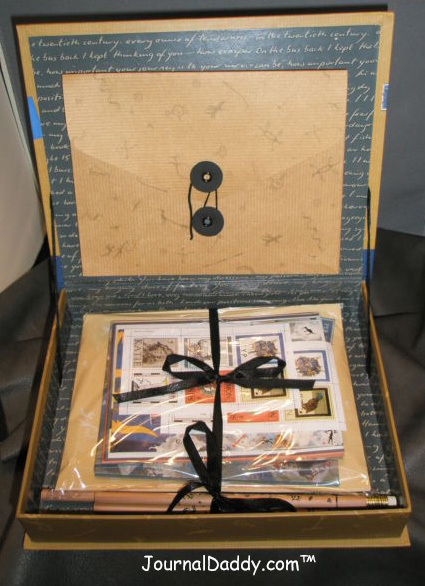 Presented in the delightful box are beautifully decorated stationery, envelopes, postcards, stamps, stenciled pencils, and more. Griffin & Sabine: An Extraordinary Correspondence by Nick Bantock — Book Description: But Griffin had never met a woman named Sabine. How did she know him? How did she know his artwork? Who is she? Thus begins the strange and intriguing correspondence of Griffin and Sabine. And since each letter must be pulled from its own envelope, the reader has the delightful, forbidden sensation of reading someone else’s mail. Griffin & Sabine is like no other illustrated novel: appealing to the poet and artist in everyone and sure to inspire a renaissance in the fine art of letter-writing, it tells an extraordinary story in an extraordinary way. Once the stationery has been filled with stories and sent off to far away destinations, you still have the decorative box to store new memories and letters from loved ones. This gift box is a must have for Griffin & Sabine lovers. Beautiful and useful. — Artful. Circa 1994. — Out of print. We only have one to sell. Get it before it is gone! This is not a book but a out of print special box full of wonderful stationery, envelopes, postcards, stamps, stenciled pencils, and more. Add shipping and insurance. We will ship anywhere on Earth. The Griffin & Sabine saga spent more than 100 weeks on the New York Times bestseller list back in 1991, redefining storytelling with its interactive and tactile format.